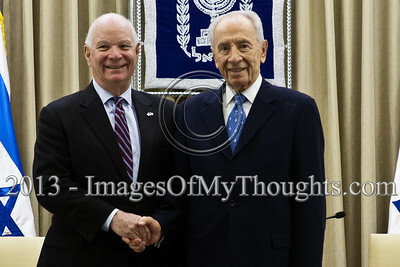 President of the State of Israel, Shimon Peres, conducts a work meeting in his residence with a bipartisan delegation of senators and congressmen led by Senator Ben Cardin who serves as co-chair of the Helsinki Commission. Jerusalem, Israel. 17-Feb-2013. 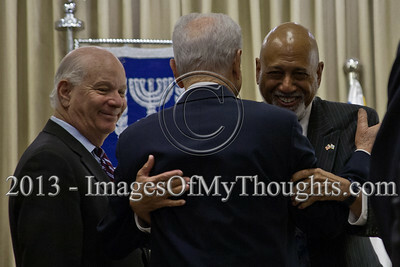 President of the State of Israel, Shimon Peres, and US Senator Ben Cardin shake hands at the onset of a meeting at the President's Residence. Jerusalem, Israel. 17-Feb-2013. 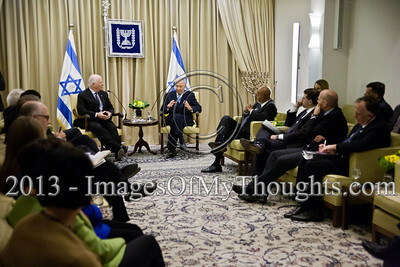 President of the State of Israel, Shimon Peres, conducts a work meeting in his residence with a bipartisan delegation of senators and congressmen led by Senator Ben Cardin who serves as co-chair of the Helsinki Commission. 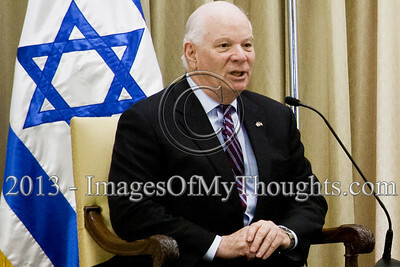 Sen. Ben Cardin, leader of a delegation to Israel, thanked President Peres for his warm welcome and said that the United States will continue to be a guarantor of Israel's security. Jerusalem, Israel. 17-Feb-2013. 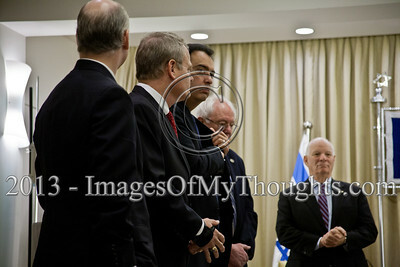 President of the State of Israel, Shimon Peres, conducts a work meeting in his residence with a bipartisan delegation of senators and congressmen led by Senator Ben Cardin who serves as co-chair of the Helsinki Commission. 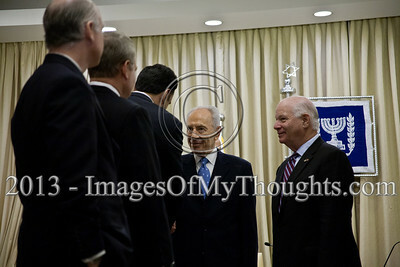 A delegation of US senators and congressmen led by Senator Ben Cardin (R) await the entrance of President of the State of Israel, Shimon Peres. Jerusalem, Israel. 17-Feb-2013. 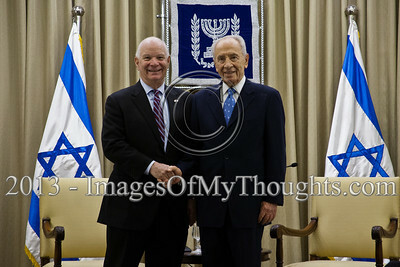 President of the State of Israel, Shimon Peres, conducts a work meeting in his residence with a bipartisan delegation of senators and congressmen led by Senator Ben Cardin who serves as co-chair of the Helsinki Commission. President of the State of Israel, Shimon Peres, warmly welcomes a delegation of US senators and congressmen at the President's Residence. Jerusalem, Israel. 17-Feb-2013. 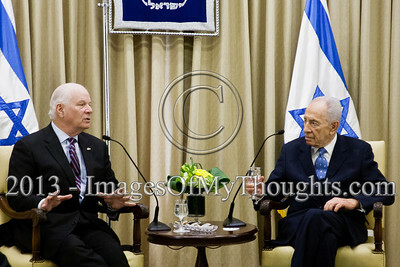 President of the State of Israel, Shimon Peres, conducts a work meeting in his residence with a bipartisan delegation of senators and congressmen led by Senator Ben Cardin who serves as co-chair of the Helsinki Commission. 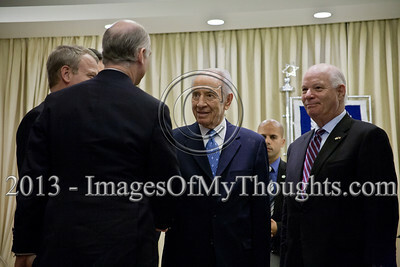 President of Israel, Shimon Peres, welcomes a delegation of US senators and congressmen. Addressing changes in the region the Pres. 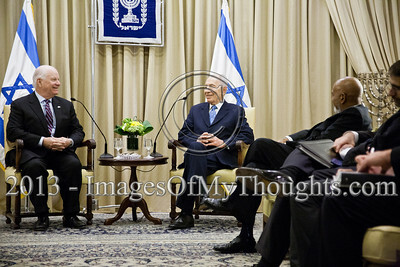 said that Israel and the United States share the same purpose, "to maintain freedom, liberty and human rights." Jerusalem, Israel. 17-Feb-2013. 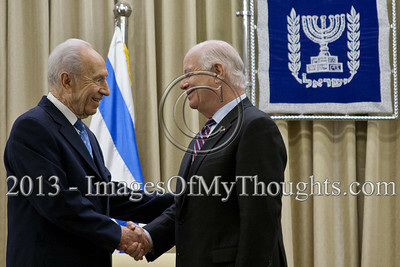 President of the State of Israel, Shimon Peres, conducts a work meeting in his residence with a bipartisan delegation of senators and congressmen led by Senator Ben Cardin who serves as co-chair of the Helsinki Commission. 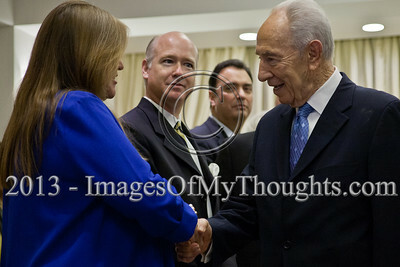 President of the State of Israel, Shimon Peres, warmly welcomes a delegation of US senators and congressmen at the President's Residence. Jerusalem, Israel. 17-Feb-2013. 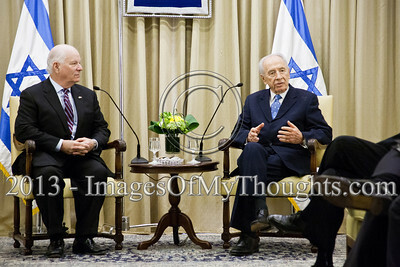 President of the State of Israel, Shimon Peres, conducts a work meeting in his residence with a bipartisan delegation of senators and congressmen led by Senator Ben Cardin who serves as co-chair of the Helsinki Commission.